Seaside Book Nook: The LEGO Adventure Book: Spaceships, Pirates, Dragons & More! 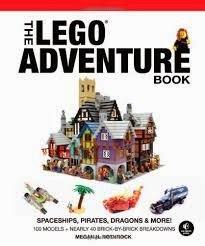 The LEGO Adventure Book: Spaceships, Pirates, Dragons & More! Synopsis (from No Starch): Join Megs and Brickbot on another exciting tour of LEGO® building in this second volume of The LEGO Adventure Book series. As they track the Destructor and rebuild the models he destroys, you'll follow along and meet some of the world's best builders. Learn to create sleek spaceships, exotic pirate hideaways, fire-breathing dragons, fast cars, and much more. With nearly 40 step-by-step breakdowns and 100 example models, The LEGO Adventure Book is sure to spark your imagination and keep you building! 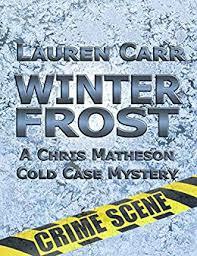 My Review: Another home run by No Starch Press and their LEGO authors. My kids really loved the "comic" style writing in this book. It is different from the other LEGO books we have reviewed. Isn't this shipwreck island cool? I just can't believe all the things that can be made with LEGOs. 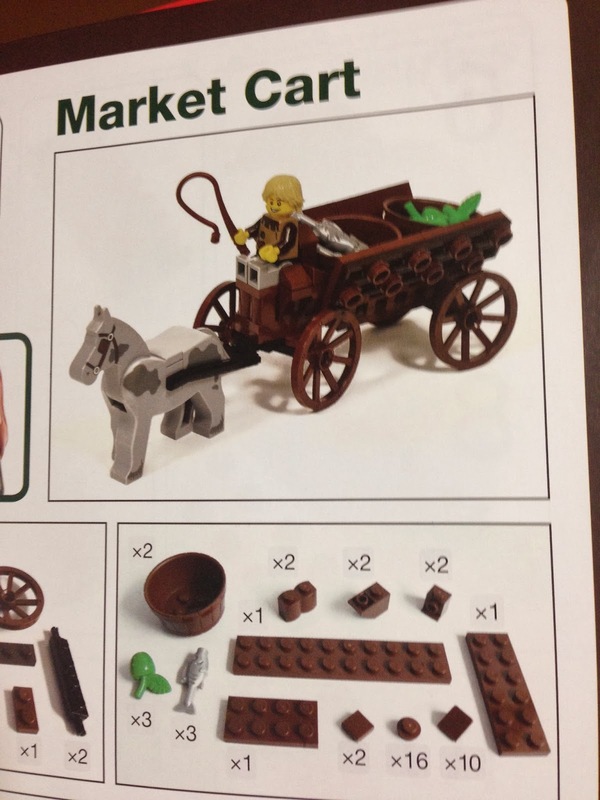 This shows what type and number of pieces you need to make the Market Cart. 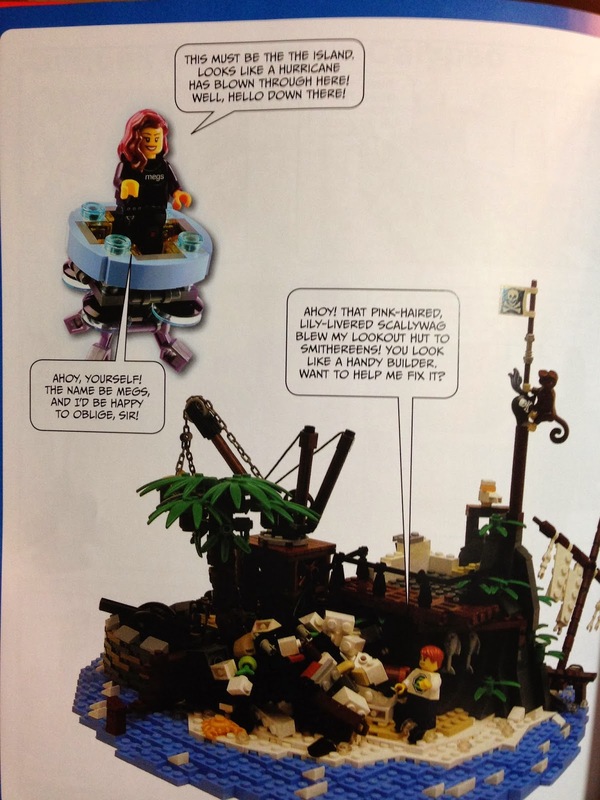 All the instructions throughout the LEGO Adventure Book are just like this. Very easy to follow along. Brick Friends was my favorite section/chapter. The bridge with the ducks is the best. Look below and you will see cows in the field. I want to build that for my dad "the farmer!" The health club is awesome too. There is a guy bench pressing, treadmills, juice bar and a locker room. Seriously, how do they do it! Thumbs up all around at my house for the The LEGO Adventure: Spaceships, Pirates, Dragons & More! 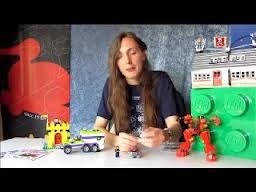 Meet the Author: Megan Rothrock is a former set designer for the LEGO Group whose models have been displayed at ComicCon and at LEGO events across Europe. Rothrock enjoys meeting builders at LEGO fan events and hopes that her book will inspire the LEGO builders of tomorrow. Originally from California, she currently lives in Denmark where she works as a freelance toy designer. Connect: You can connect with No Starch Press online at their blog, Facebook and Twitter. Purchase it: You can purchase LEGO Adventure Book online at No Starch Press ($24.95 for hard cover and free ebook; $19.95 ebook) or Amazon ($24.95 hardcover; $11.99 Kindle version).